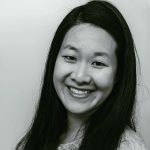 Published Oct 8, 2017 Updated Mar 25, 2018 By Julia 65 CommentsThis post may contain affiliate links. These are the best keto chocolate chip cookies that I’ve ever had. Sugar free, low carb, and gluten free. 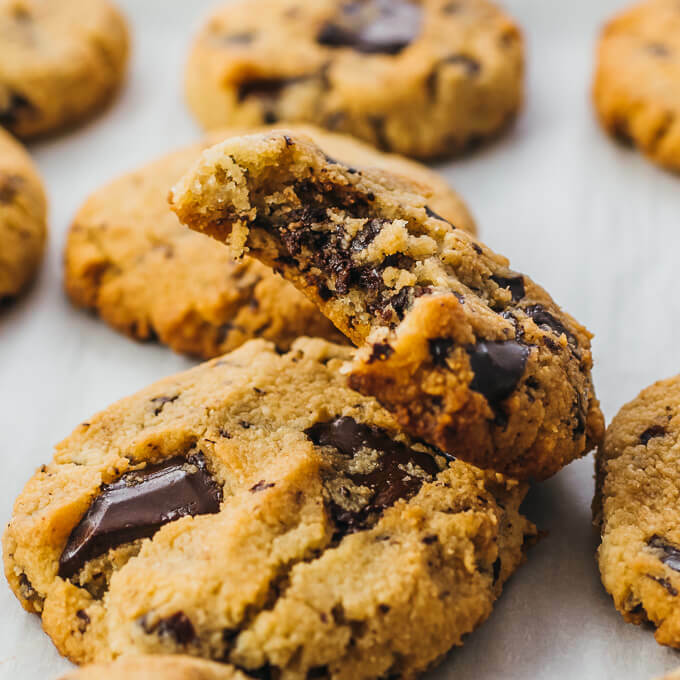 Whether you have sweet cravings every now and then, or you’re looking for a quick healthy snack to grab any time of the day, these low carb chocolate chip cookies will satisfy them both. The dough is made using almond flour, and can be easily adapted for a paleo diet by replacing one of the dough ingredients — butter — with coconut oil. The texture of the cookies is chewy and soft, with a slight springy texture, but with a firm base so it doesn’t crumble. 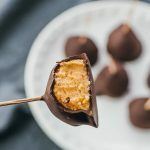 The recipe doesn’t skimp on chocolate — that would be blasphemous — so you’ll find that every bite comes with a densely chocolate taste. 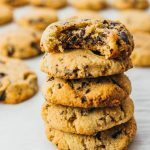 I’ve been tinkering with this recipe for the past couple of months to make the best possible keto chocolate chip cookies. 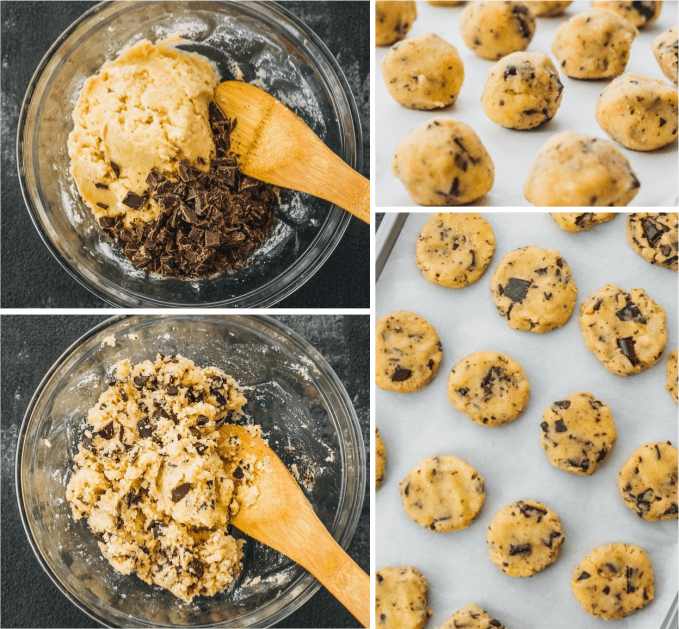 This current recipe has a proportion of ingredients that yields a great cookie dough that can hold densely packed chocolate, with a taste, appearance, and texture similar to that of flour cookies. 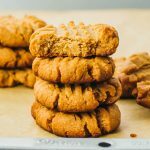 Compared to an earlier version of these cookies, one of the main changes was adding a small amount of unsweetened almond milk, which yields a more moist dough. 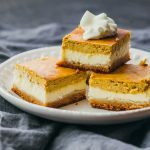 I use powdered erythritol for all of my keto dessert recipes, most recently when making low carb pumpkin cheesecake bars and keto peanut butter cups. Erythritol is a sweetener that doesn’t affect blood sugar or insulin, and your body is unable to digest it, making it ideal for anyone doing low carb or keto baking. 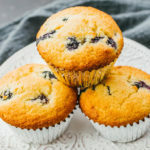 If you substitute it with another sweetener, note that erythritol is only about 70% as sweet as table sugar, so you’ll need to adjust the amount of sweetener for the same effect. I buy granulated erythritol online and then use my Nutribullet to pulverize the granules into very fine powder. I find that the powdered version is more easily absorbed into mixtures and batters for baking. You can also buy powdered erythritol directly under the brand name Swerve, but note that Swerve is a 1:1 replacement for table sugar unlike pure erythritol, so you’ll need to adjust the amount used as appropriate. You can use whichever type of chocolate that you prefer — 40% milk chocolate, 50-70% dark chocolate, or even 100% cacao if you’re up for it. Just know that the nutrition information will depend on the kind that you use. I use Lily’s brand of sugar free 55% dark chocolate (sweetened with stevia and erythritol) which only has 4g net carbs per 40g serving. You can buy their chocolate bars at Whole Foods. If you like extra dark cookies, you can use 100% cacao bars from the brand Bakers, which is pure chocolate with no sweeteners added (this will result in nutritional information similar to Lily’s). You can also follow this recipe to make your own low carb chocolate. 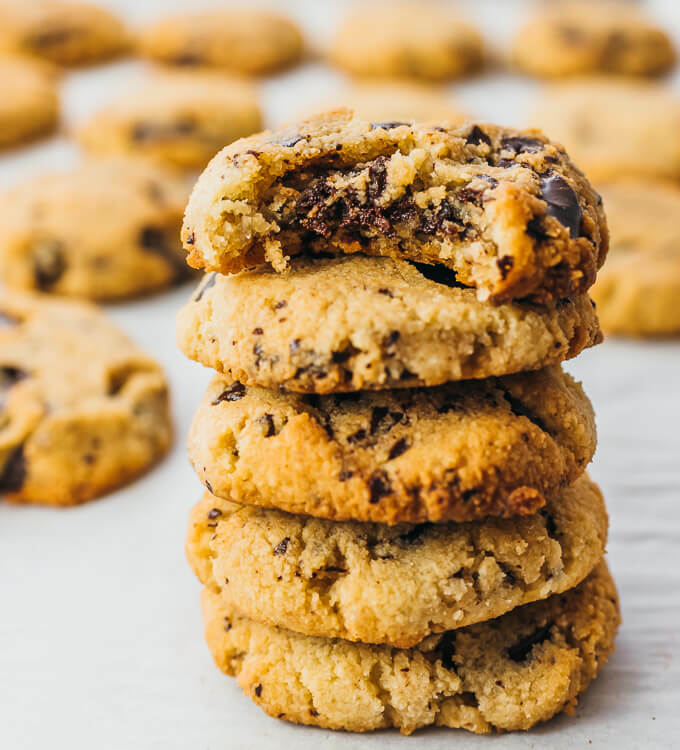 The chocolate should be chopped up finely, similar to the size of chocolate chips, so that you can more evenly incorporate them into the dough. It also makes it easier to form cookie shapes without large chocolate chunks jutting out. I like to use a variety of sizes — some smaller than chip size, some larger — so that every once in awhile you get a large bite of dense chocolate goodness. These chocolate chip cookies hardly spread out when they bake. Their shape and size after baking is about the same as it is before. The only difference is their lightly brown color and slightly puffier appearance. Accordingly, you’ll want to make sure that you mold the dough to your desired shape and smooth out any rough edges. These cookies are amazing fresh out of the oven. Still warm, soft and gooey with chocolate. 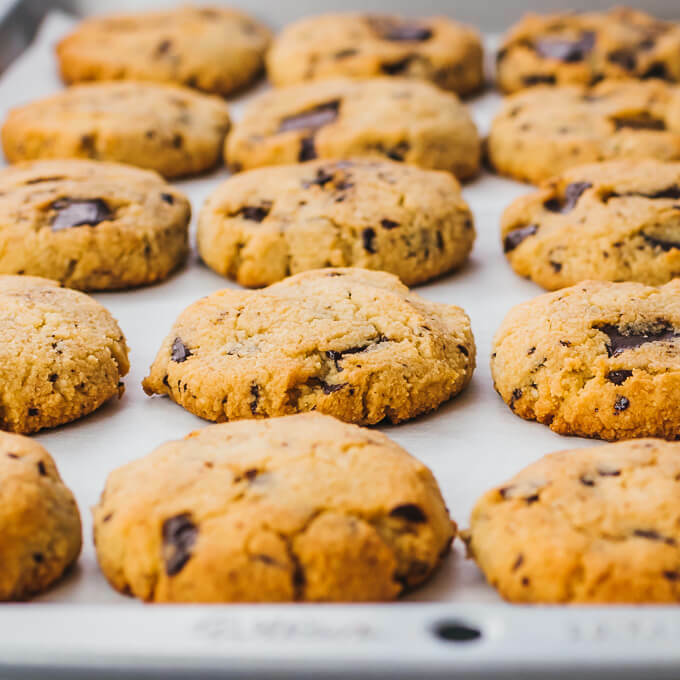 For cooled cookies, microwave them for 10-15 seconds or until warmed for a similar effect. You can store leftovers in a covered container at room temperature. This recipe yields 1.5 g net carbs per serving (1 cookie). Nutrition information does not include erythritol, which cannot be digested by the body. This also assumes Lily's brand of dark chocolate (4g net carbs per 40g serving), which is 55% cocoa and has no sugar added. What would the ounces be for almond flour? 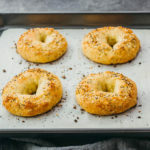 Would ounces for almond flour be a different weight then for other flours? It seems to clump together. Thank you in advance ! 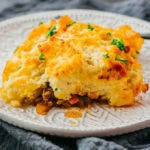 This reminds me that I need to remake this recipe so that I can provide weight measurements. FYI almond flour is usually 1 oz per 1/4 cup. I don’t have any almond milk. 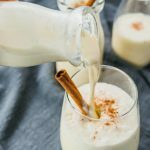 Can I use coconut milk instead? I think that would work. Or any other kind of nut milk like cashew milk. Water might also be a decent substitution. I love chocolate chip cookies and these are the best I have found that are low carb! These are a keeper! I appreciate your explaining the difference between erythritol and Swerve. A lot of others don’t do that. So I finally turned my erythritol into powdered. Easy. I see some people mention monkfruit as a sweetener. I have never tried it but wonder if you have? Another time, I might add some walnuts or pecans to them which I think should work fine. Hi Judy! I have tried monkfruit by the Lakanto brand, which is not pure monkfruit but actually a blend that’s mostly erythritol. I think I tried their classic granulated version, which is a 1:1 substitution for sugar. It worked well, but I usually prefer using sweeteners that are confectioners (powdered) instead of granulated. These days, I am mostly using Swerve Confectioners as my go-to sweetener. Thanks Julia. I too find the confectioners seems to work better for baking. I usually use Serve too but wondered about monkfruit when I saw somebody that swore by it. I just made these and they were pretty easy and quick with a good shape. They didn’t crumble however they tasted a little drier than I would like. I am wondering if it is because I substituted 1/2 of the c of almond flour with 1/2 c coconut flour. That’s likely the reason since almond flour and coconut flour are not equal substitutions. Coconut flour is a lot more absorbent than almond flour. What do you think about adding brown sugar extract? I haven’t tried that, but I think it would work here. I split the 1/2 cup of erythritol with 1/4 cup coconut sugar, which gives a brown sugar taste. Quite lovely. These are yummy! I used cream instead of almond milk and almond extract they turned out great. This recipe is a keeper! I’m glad to hear you enjoyed these cookies, Karen. I might try them with cream next time I’m out of almond milk. Can I use stevia or maple syrup? That’s all I have at home. I kinda don’t like using the other sugar alcohols either..
Is it dry or liquid stevia? Alternate sweeteners should work in this recipe; my only concern is that it throws off the ratio of wet to dry ingredients, resulting in a batter that’s too thick or too wet. I think I screwed up somewhere! Mine wouldn’t form into a cohesive dough at all..they were like the consistency of moist sand lol…where did I go wrong? …I am thinking was it because I used granular swerve instead of confectionary? I overlooked that “powdered” part…do you think that could have made the difference? It could be the granular vs confectioners, but I don’t think it would’ve made such a noticeable difference. Maybe it was almond flour? Make sure you’re using almond flour and not ground almonds which isn’t fine enough. FYI the recipe uses pure erythritol, which is not a 1:1 substitution for swerve. Pure erythritol is only 70% as sweet as sugar, and Swerve measures the same as sugar. So you should measure out less sweetener for swerve. Can u use cassova flour if low on almond flour? Hi Sally! I haven’t tested this recipe with other types of flour, so I can’t say how they’ll turn out. It probably wouldn’t work as a 1:1 substitution.